In this article 'writing an effective resume is a key step in your career path', you'll get more information and details help with your career knowledge, feel free to copy or share. Controversy and resumes go hand-in-hand. Should your resume be one page or two? Should your experience or education be listed first? Should you use the functional or chronological format? There's so much contradictory advice on how to write a resume, it's no wonder that executives often procrastinate before writing new ones. Job hunting is hard enough without having to jump through a resume "obstacle course." In many cases, computer databases and voice-mail have depersonalized the screening process and limited access to hiring managers. Senior-level candidates face additional challenges. Many are rejected for being overqualified or too old, or they can't find jobs that pay as well as their prior positions. This leads to low self-esteem -- a curse for job hunters. In the business world, meek candidates are eaten alive by the competition. Ironically, though, many executive job seekers lose their aggressiveness when it could most help them. Their phone calls, interviews and follow-up contacts may go well, but they often stall at the first step -- writing an effective resume. If you're having trouble beginning your resume, review the following 10 steps. Then use the advice to make employers curious enough to call. 1. Reassess your job skills. If you held your last position longer than five years, spend time reviewing your skills and career goals before writing a new resume, says Eva Gabbe, a counselor with the career and training center at California State University in Sacramento. You may not want to highlight your usual skills, especially if you're changing careers. Taking diagnostic tests will help you evaluate whether you're qualified and suited for other fields. Ask your local college or university if you can use its self-assessment resources. Remember, it's never too late to update professional skills, especially in computer technology. Moreover, many employers are impressed by candidates who continue their education. 2. Seek rewarding work. You may want to consider a position that connects with a personal passion. Too many people stay in boring jobs because they have mortgages, college expenses and other bills to pay, says Ms. Gabbe. But career happiness has often-overlooked emotional and physical benefits. Decide what you can cut back on or delay financially so you can pursue a job you'll enjoy without worrying about the pay. 3. Target each position. Each resume you send should be customized to that specific job and employer. Use an objective or profile to keep the resume focused. If you lack time or motivation to customize your resume, don't send it. 4. Focus on experience. The experience section of a resume sets an executive resume apart from others, say Ms. Gabbe and Susan Moore, chapter liaison for the Sacramento Professional Network Job Club. Review your job history and select the skills needed to tailor your resume to an individual employer. Quantify whenever possible. The fact that you saved your company $2 million will attract attention. If you're concerned about age discrimination, highlight your achievements but don't include the dates you were employed, which could reveal your age. 5. Speak out. Modesty isn't an admirable trait in a job search. No one can explain your accomplishments as well as you. Candidates are often too shy to supply quantitative data that support their assertions, says Ms. Gabbe. They often end up with resumes that are too short and sparse, which prompts readers to doubt their qualifications. 6. Choose wisely. Beware of including too much information on your resume. One candidate hurt her prospects by mentioning membership in the local parent-teacher association on her resume, says Ms. Gabbe. "This woman could be eliminated from consideration because of an employer's fear that her children's issues might interfere with her work," she says. 7. Be honest. Don't inflate data or lie on a resume, since untruths can be easily checked with a call to former employers. Candidates who are caught lying are disqualified, so the risk is never worth it. 8. Create a pleasing format. If a resume's appearance isn't engaging, readers may never get to the content. The first 20 seconds of resume review are critical to your success. If your resume is cluttered or disorganized, it won't be read. 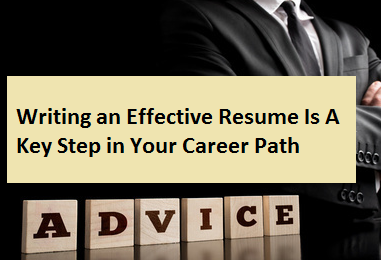 A resume is a snapshot of an individual, says Ms. Moore. Neat and orderly resumes project the impression that you're organized. She recommends a one- to one-and-a-half-page resume, if it's well-supported. "I don't care if you're the President. If it's longer than two pages, I won't read it," says Ms. Moore. "I don't want the employer to know everything about me on paper because I don't want them to prejudge me. I want the chance to explain myself in person." 9. Proofread. Mistakes on a resume can be deadly. A single error will outshadow the facts about you and leave a lasting, negative impression with employers. Therefore, it's vital that you, and someone who knows you, proofread your resume before it's sent out. 10. Know your resume. If you don't write your document, take an active role in its development, since whatever it includes could be the basis of an interview question. Be prepared to back up every statement with additional information. Only include positions that you can discuss positively. Never include negative experiences, no matter how impressive they may be. Review the final document carefully, since some professional resume-writers use outdated phrases that won't reflect your true personality.